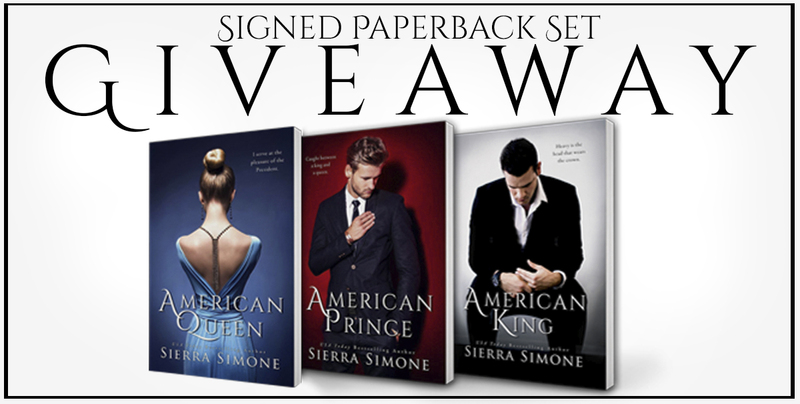 AMERICAN KING, the stunning conclusion to the New Camelot Trilogy by Sierra Simone is LIVE and we’re celebrating with a MEGA GIVEAWAY for a set of SIGNED paperbacks! •LIKE or follow Kindle Crack Book Reviews on FB or Instagram www.instagram.com/kindlecrack (or both). SBPR is responsible for this giveaway, and it is not sponsored, administered or endorsed by Facebook/Instagram. Open for 72 hours. Giveaway open to US residents. Thank you and good luck!